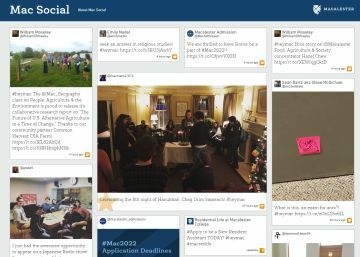 Mac Social brings together content posted on social media networks about things happening at Macalester or about members of the Macalester community. The page changes frequently and provides a wonderful opportunity for parents and families to get a sense of what is happening on and around campus. Log in to Student Account Suite to pay your student’s bill. You must be set up as an authorized user.